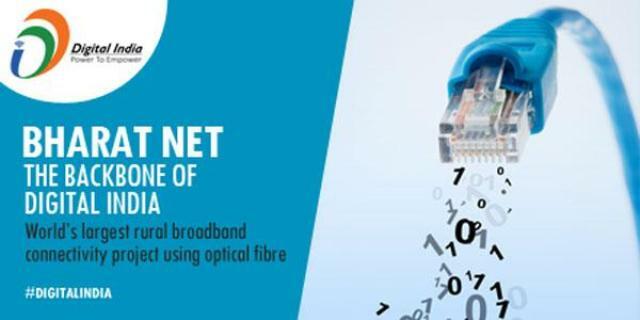 BharatNet, an initiative of the central government to provide high-speed broadband connectivity to all gram panchayats by March 2019, would enter its final phase on November 13. Phase-2: With an outlay of around Rs 34,000 crore, the government aims to connect 150,000 panchayats through 1 million km of additional optical fibre and give bandwidth to telecom players at nearly 75 percent cheaper rates for broadband and Wi-Fi services in rural areas. Background: Launched in October 2011 as ‘National Optical Fibre Network’, the government of India initiative aimed at providing high-speed broadband services in over 200,000-gram panchayats in India. Phase 1 of the project, under which 1 lakh GPs were to be connected, will be completed by the end of this year. The government aims to bridge the digital divide in rural and remote areas of the country by providing affordable broadband at minimum 100 Mbps speeds through robust network infrastructure through the Rs 45,000 crore Bharat Net programme, which was earlier known as National Optical Fibre Network (NOFN). The initiative is aimed at reviving the existing optical fibre network of government-owned corporations -- BSNL, RailTel and PowerGrid -- to provide internet connectivity to gram panchayats of India. The project intends to enable the Government of India to provide e-services and e-applications nationally with the help of Telecom Service Providers (TSPs), Internet Service Providers (ISPs), Cable TV operators, etc. The total project cost of BharatNet is around Rs 45,000 crore, of which Rs 11,200 crore has been used in the first phase. The second phase, with an outlay of around Rs 34,000 crore, would start from November 13. Banks to Check Original Documents above 50,000 Financial Transaction Meghalaya signs host city contract for 39th National Games Ruskin bond’s autobiography Lone Fox Dancing has . . . . 16th Annual Convocation of Dakshina Bharat Hindi Prachar . . . .